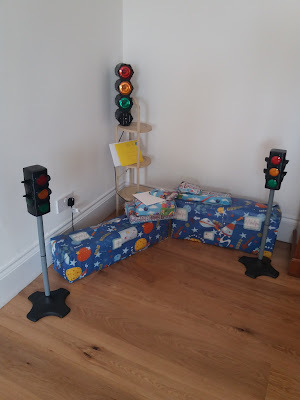 May is birthday month for me and my boys - although this may change if baby #4 is a boy - due in October! 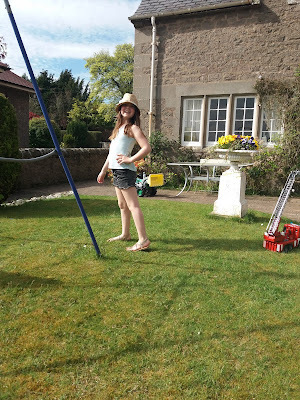 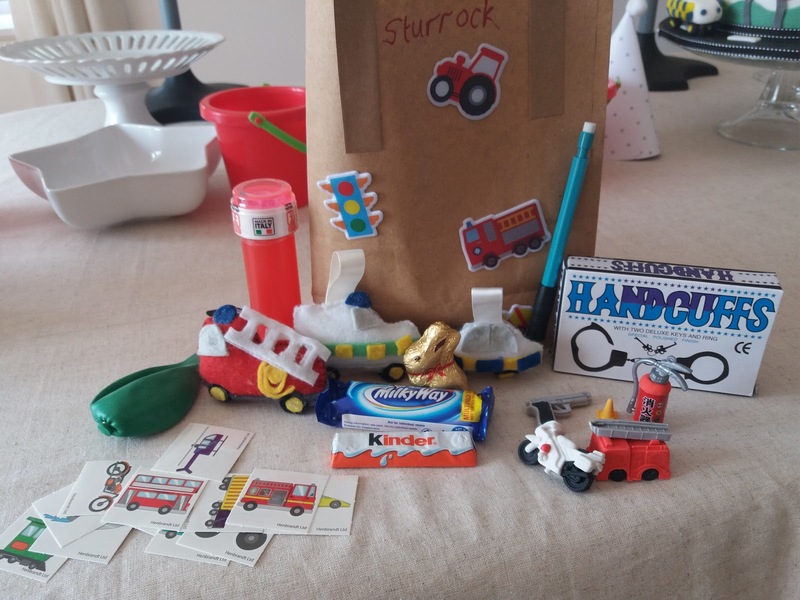 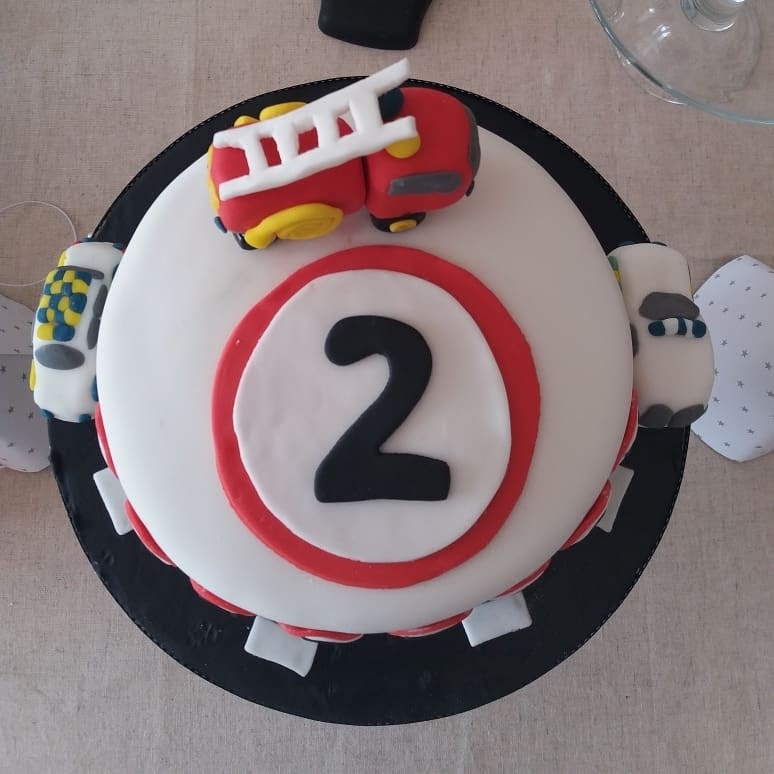 We had a lovely day yesterday for Sturrock's 2nd birthday as it fell on the May Day holiday so all the kids were off school and my sister had the day off work. 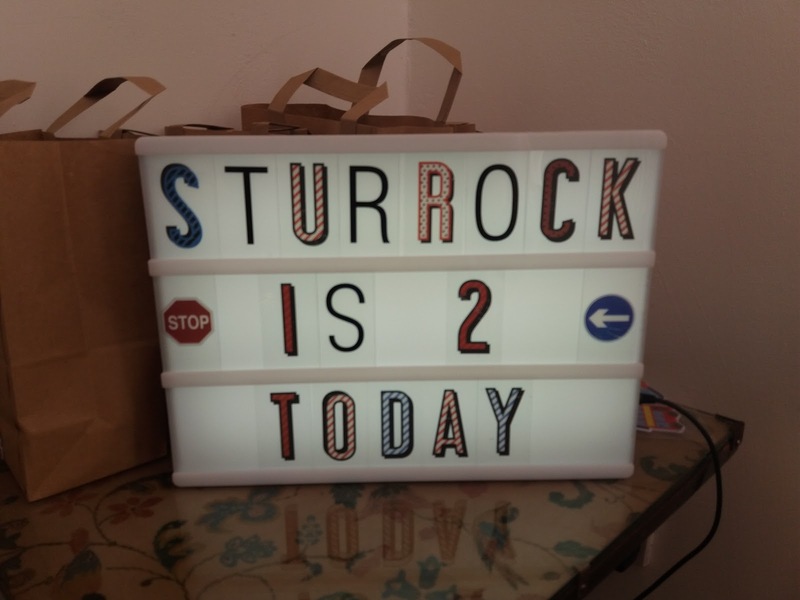 We went to Tiny Talk in the morning - Sturrock is an amazing signer he can use over 100 signs. 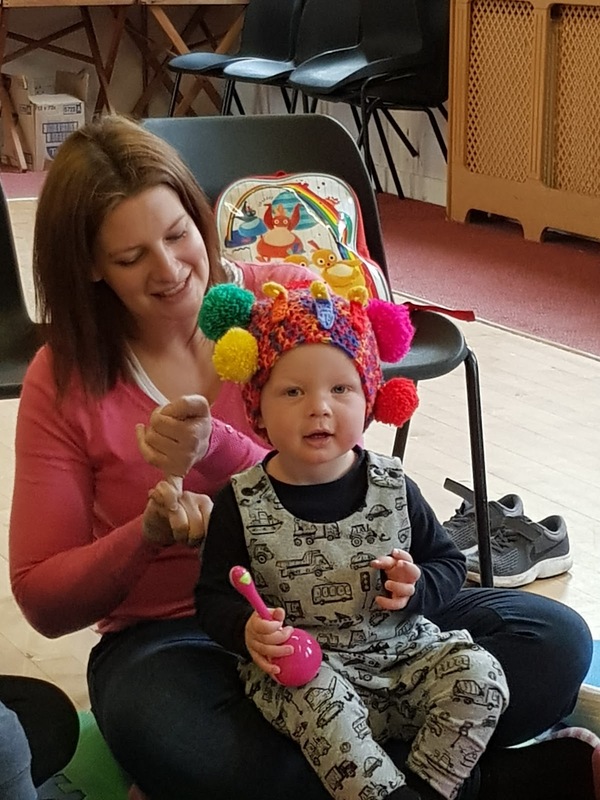 He had a great time wearing the birthday hat and everyone singing happy birthday to him. 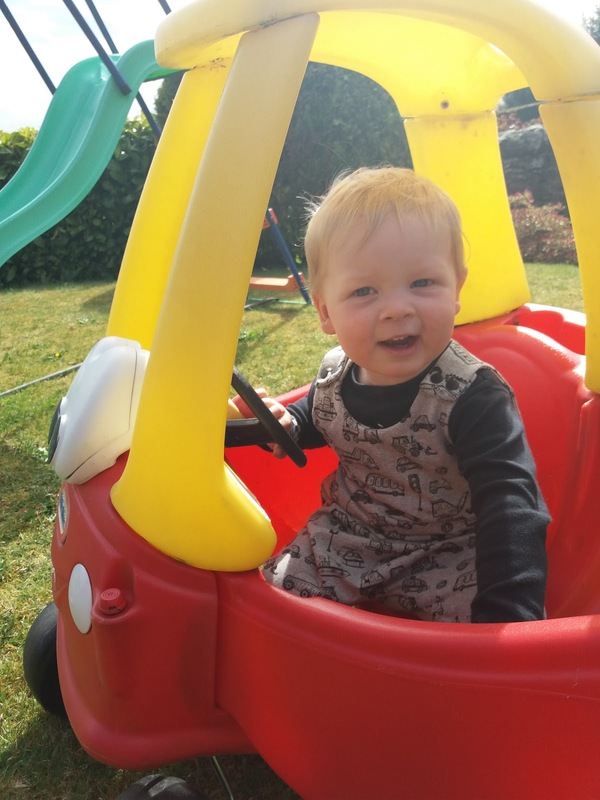 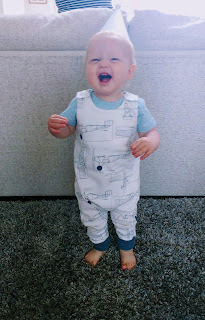 He absolutely loves all things vehicles - I got his lovely romper from Bizzy's Sewing he had a great time finding different vehicles on it all day. Afterwards we had a party at home with his brother and sister, granny, grandad, aunty and cousins. 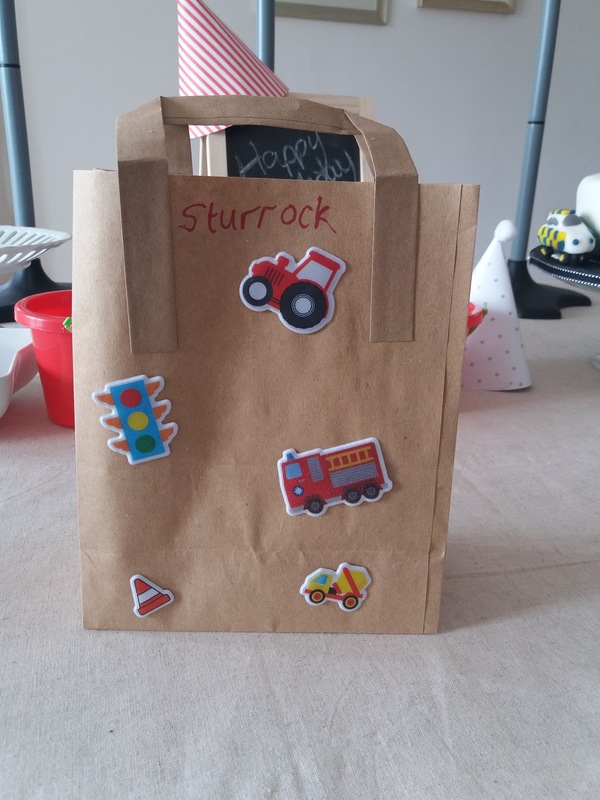 We had a lunchtime buffet with chicken, quiche, sausage rolls, cheese, pickled onions, crips and dip. Last year's party hat and this year's - how quickly a year goes by! 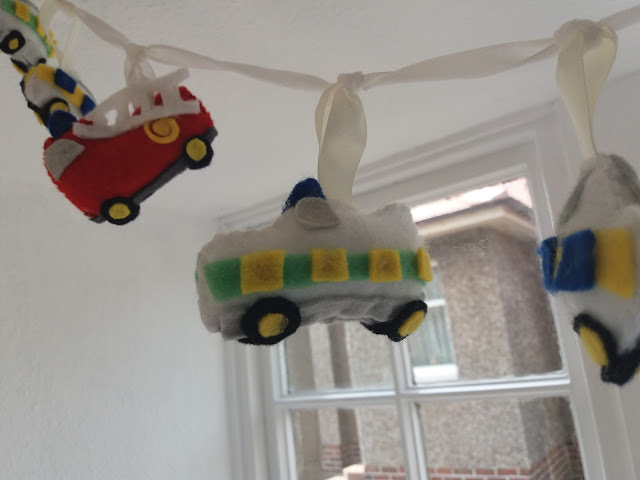 Handcuffs, emergency services related rubbers, temporary tattoos of vehickes, a light up balloon, sweets, bubbles and of course some felt I had sewn up - for the first time ever I was prepared early enough not to be sewing up madly the night before! 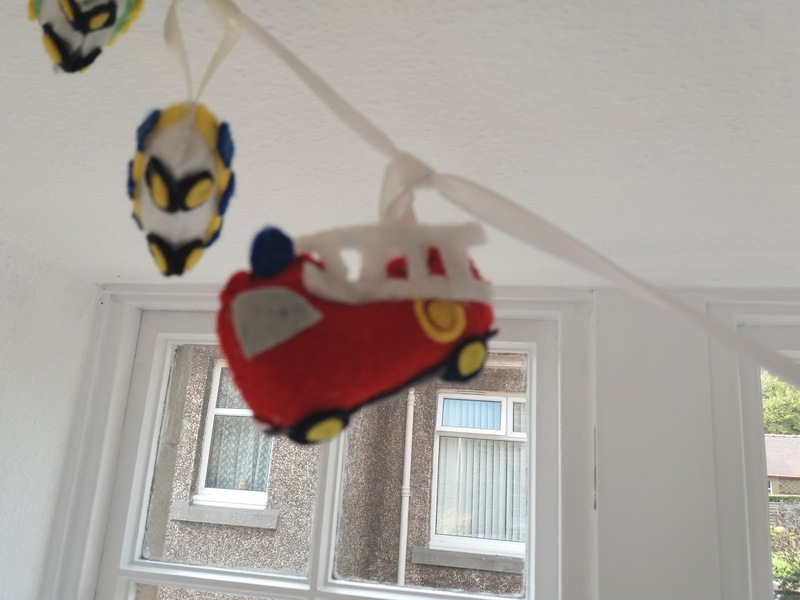 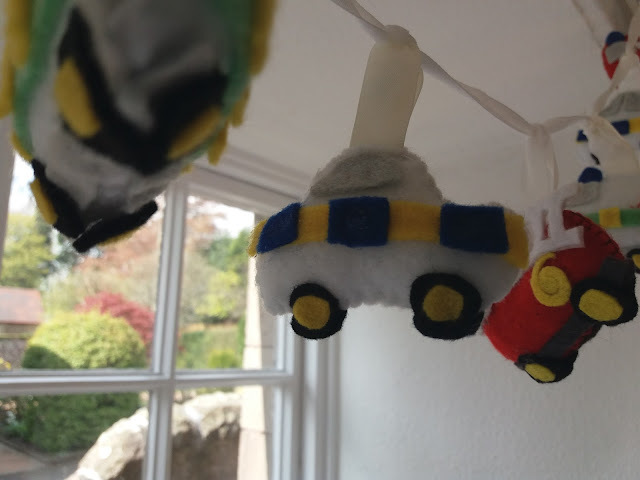 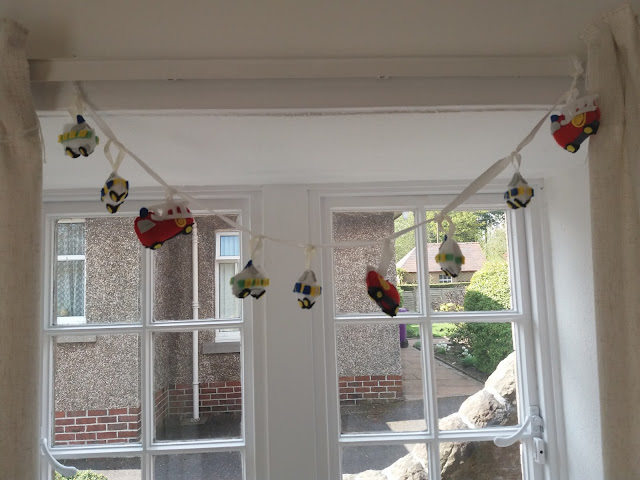 I made a felt garland with the ambulances, fire engines and police cars I sewed. 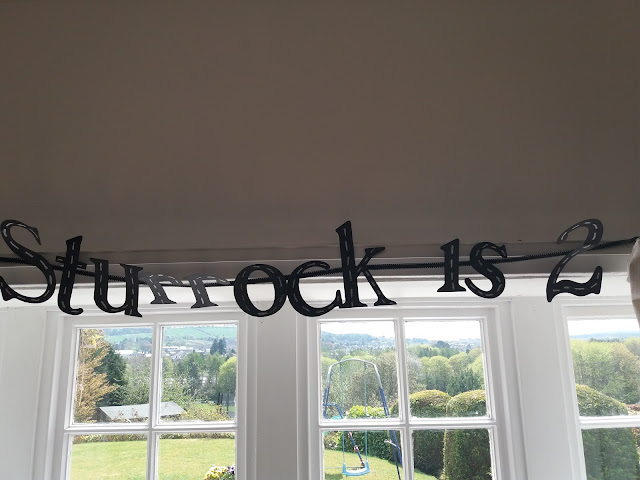 Me and Eliza made the name banner with the cricut out of black paper and used white chalk to make it look like a road. It's great Eliza can help out with the decorating now. She loves getting the chance to use the cricut. 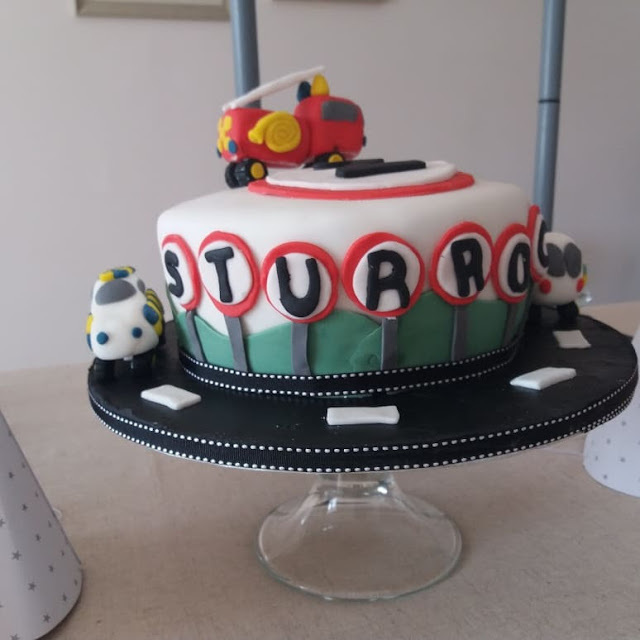 Finlay's birthday next but he told me it is really embarrassing how I have a theme for every party so I took that as a warning not to go overboard with his birthday🤣 He is 14 tomorrow so a cake and some friends round for tea very tame!